The Frugal Gourmet, with chef Jeff Smith, is an amazingly thorough video collection with over 80 episodes that include food recipes from around the world. In each episode, Smith demonstrates several simple but important recipes. The French Kitchen begins with an overview of wines and the wine regions of France. Then the Frugal Gourmet cooks authentic French dishes like Pork with Sausages and Sauerkraut, Mushrooms with Garlic and Parsley, Pork with Grapes and Wine Sauce, and Snails with Celery and Cream. 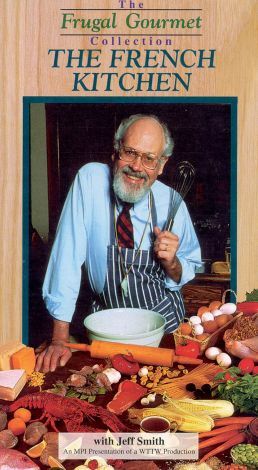 Smith not only cooks, but also discusses the theological and anthropological histories of the dishes he prepares. He brings humor and wide-ranging knowledge into the kitchen.